My hubby and I rarely travel without Chester and Gretel. We’re going on an anniversary trip next week to Jackson, Wyoming and will be bringing them with us. 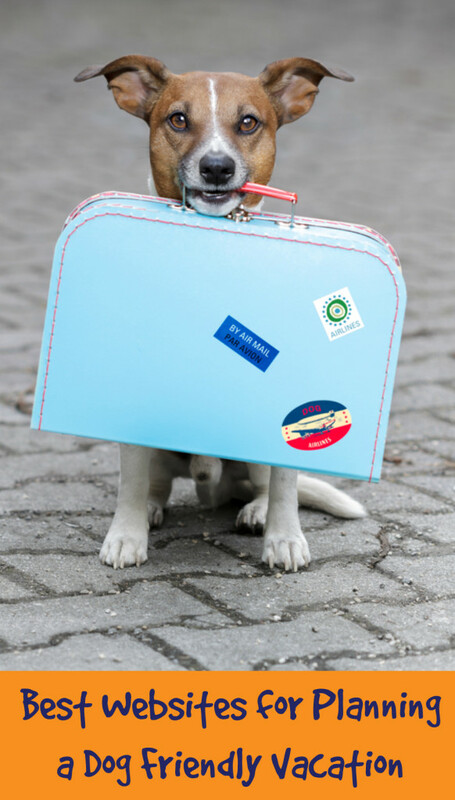 I thought I would share some of the resources we use to plan a dog friendly vacation. It’s a 14-hour drive from Seattle to Jackson so, to ensure we all get enough breaks, we will be playing the 100-mile road trip game and splitting the drive into two days. For this trip we needed to locate dog friendly hotels, dog friendly campgrounds, dog friendly restaurants; and dog friendly trails. When planning a dog friendly road trip the first thing I do is use Google Maps to calculate driving times and find approximate stopping points. For example, we only want to drive 12 hours the first day because that will be about 14 total hours on the road with breaks. I keep picking destinations and plugging them into the map until I find one that is about 12 hours from Seattle. The next thing I do is visit the Go Pet Friendly website. They have a road trip planner that is Google map based. After you enter your starting and ending destination you can locate dog friendly campgrounds, hotels, and other amenities along your route by checking a couple of boxes. To find dog friendly hotels in a particular city I use the Bring Fido Website. It’s like Expedia for dog friendly hotels. You can view all dog friendly hotels in a city as well as estimated rates, descriptions, reviews, and usually pet policy information. You can book a hotel, and a competitive rate, right on the site. This is, by far, the most comprehensive, easy-to-use website I have used for locating and booking dog friendly hotels. I like to search the Go Pet Friendly Destination Guides first. The destination guides are like personal reviews on a specific location. I like seeing the pictures and hearing the stories from actual humans instead of marketing mumbo-jumbo off of a website. Whether I find a destination guide for the city I am visiting or not, the next places I look are the Go Pet Friendly travel search and the Bring Fido dog friendly city directory. Between those two resources I usually find all of the dog friendly restaurants in an area. Sometimes I will do a little extra checking for restaurants on PetFriendlyRestaurants.com or Dog Friendly.com. These two websites are a little clunky but I sometimes find one or two restaurants not listed on the other two sites. 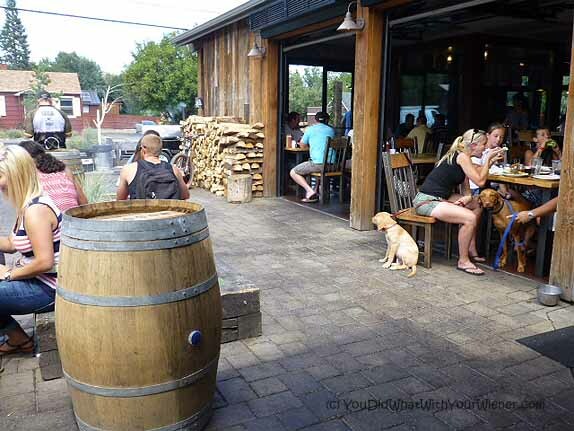 If you are vising Seattle and looking for a dog friendly restaurant, you are in luck. My friend Jenny has a blog called Dog Gone Seattle and she personally investigates every dog friendly restaurant and bar she hears about in Seattle and shares her experiences. You’ll even find some restaurants in Seattle that let you eat with your dogs INDOORS (which is great if you are visiting in the winter). A note of caution: restaurant policies change all of the time and what was dog friendly one day may not be the next. If I found the restaurant on Go Pet Friendly, Bring Fido or Dog Gone Seattle I am pretty confident the information is accurate. If I find a restaurant using any other source, I always call ahead to confirm they are dog friendly. Even so, I always have a plan B in case we get there and are turned away. While Bring Fido lists some dog friendly trails on their website, I find their listing sorely lacking. Specifically, they primarily only list park and “tourist” trails. That is enough for some people but we like to get far out into nature and see some of the best natural sights the area has to offer. I have my own research process for locating dog friendly trails when we travel. 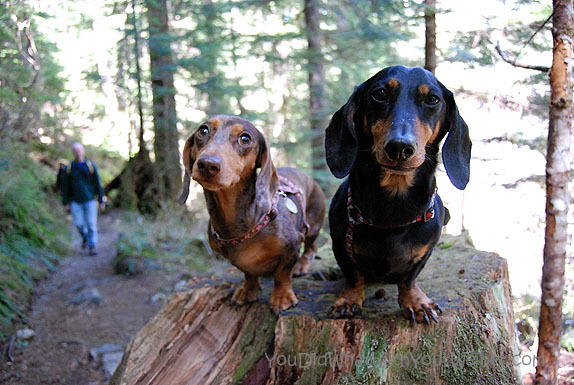 Check out my post Finding Dog Friendly Trails to find out how I find them. If you know of any good dog friendly blogs or websites for the City you live in please leave them in the comments below for other travelers to find. 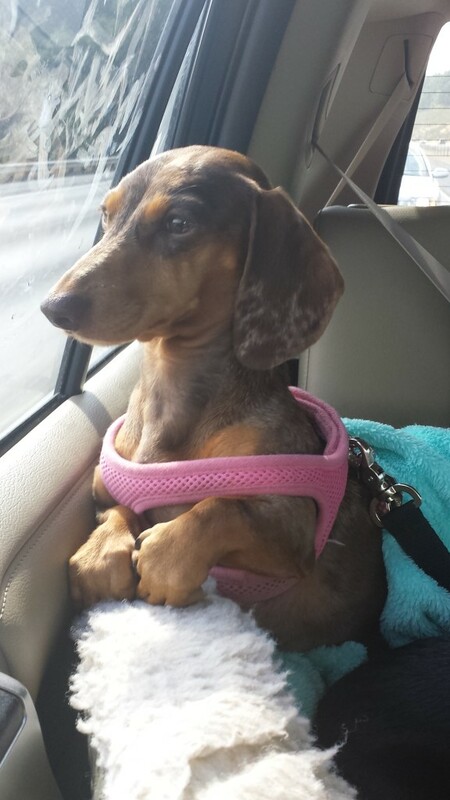 Are you planning any dog friendly vacations this year? If you are going to be flying with your dog, check out the 9 Lessons I Learned While Flying with a Dog In Cabin and my favorite website about flying with a small dog, DogJaunt. Thanks so much for including us in your travel plans, Jessica! We hope you all have a great time in Jackson next week. Waggin’ trails! It is a wonderful article and thanks for sharing the website of hotels and restaurants that are dogs friendly. Most of hotels and restaurants don’t allow to take dogs with us, so it creates many pet problems for every pet owner. I think your provided sites will help them. There are SO many dog friendly hotels now. I havent foumd one City we have traveled too that didn’t at least have one of them. Restaurants are another story but I am happy to see they are on the rise too. Most only let you sit oitside on the patio (taking them inside is against the health code but some places have been able to get around it) so they only work in nice weather. We are planning a trip w/ our Rita this year, so this is timely! I downloaded the Bring Fido app at my sis’s recommendation to find pet friendly dining options while we on our trip. Haven’t actually used it yet, but my sis said it’s helpful. I also have an old-fashioned paperback book (The Dog Love’s Companion to the Pacific Northwest) that we’ll be bringing along. Looks like it has good dining and hiking info. Definitely some sites here that I haven’t taken advantage of. I use Sidewalkdog.com a lot here as it is a guide for Twin Cities to find everything and anything dog-friendly. Have fun on your trip! We just made the road trip out that way to Colorado! I’ve never heard of that site. Thanks for sharing. Am I correct that it is only for the Twin Cities area? Great information. 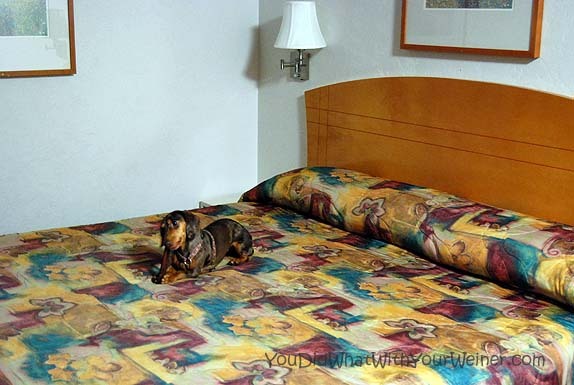 I am always looking for pet friendly hotels. Great tips! We’re heading to Nashville, TN for the first time tomorrow. We’ll have to check out those sites. Wish us luck in our travels! Much love, The Scottie Mom. What a great bunch of websites. I have bookmarked a lot of them which I can use Europe too. I didn’t know these sites existed. Thanks for sharing. Thanks for this great and informative post! Great. I am pretty sure you will find something. If you do a search and find another online resource or finding dog friendly trails, would you please come back and post it here? We’ve discovered that the La Quinta chain lives up to their dog-friendliness policy. We took Thumper with us all up and down CA this summer and not one employee at any La Quinta batted an eyelash. In fact, he got lots of love and pets from people who missed their own dogs. We recently stayed at one and found the staff to be very nice. Their pet policy did seem to be a tad more restrictive than others but it did not interfere with our enjoyment. This is a really helpful post! We use Go Pet Friendly and Bringfido too, we also love the AAA Pet Book with lots of pet friendly lodgings that are registered w/ AAA. Your AAA card can often get you a 5 or 10% discount on lodging as well. I’ve been stuck without a dog friendly place to stay more than once and all 3 of these have been helpful. Sharing. Thanks for mentioning AAA. I always ask if a hotel has an AAA discount but never thought of using them as a dog-friendly resource. Maybe it’s because it reminds me too much of AARP but I always felt like their resources were a bit outdated or not up on current trends. Ha, ha. It’ been years and years since I’ve checked them out though. Hello there, Great post! I have travelled all over the country and out of the US too, many times with 2-3 dogs and a parrot and have utilized a few of your links in the past. I can’t wait to try the finding dog friendly trails link and the pet friendly restaurants link. I am going to use the trail link for the New York City area first! Thanks for writing such a helpful article!